The rifleman with Echo Company, 2nd Battalion, 5th Marines, out of Camp Pendleton, Calif., was responding to a March 26 firefight as part of a quick reaction force when the six-wheel Mine Resistant Ambush Protected vehicle he was rocked with an improvised explosive device, he said. Anderson shook off the blast in northern Helmand province, jumping into the vehicle’s gun turret to return fire. 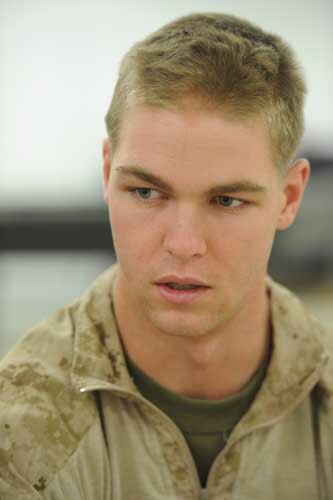 After the firefight, however, the Marine had lingering concussion symptoms. He was evacuated by helicopter to the military hospital at Camp Bastion, where a series of tests determined he didn’t have any life-threatening injuries. Anderson was reassigned to the Concussion Restorative Care Center at Camp Leatherneck, a relatively new facility that has allowed about 98 percent of the concussed troops it has seen to rest until they’re healthy and return to the field. The center was established in August 2010, as the dangers of repeated concussions became more commonly known. It moved into a more polished facility near the camp’s barracks for wounded warriors in May 2011. It has treated 969 concussion patients since opening and kept 930 in theater, said Navy Cmdr. Todd May, the center’s top officer. “Anybody who is in our region and on our door, we’re happy to take care of them,” he said. The center doesn’t typically treat concussion patients who have more serious injuries requiring major surgeries or long-term treatment. Instead, it provides a quiet place to recover and assesses troops’ symptoms, especially balance problems and sensitivity to light. The facility also offers both telephones and Internet access for patients to communicate with family and counseling for troops who are struggling to process the near-death experiences they’ve had. The center has logged at least 855 mental health sessions since it opened, and also holds group meetings where patients compare stories and discuss their recoveries, May said. The center also cares for patients with other medical conditions. One recent patient had pneumonia, while another was recovering from an appendectomy performed at nearby Bastion. Overall, the facility has seen at least 2,180 patients since August 2010, May said. Its average concussion patient returns to duty in 11 days. I salute to the people and center who afford the opportunity for our troops to have a time to regain their emotions and physical abilities to rejoin their unit… Our support and prayers are w/ you ALL.